This generation continuously asks questions. Some of the major one’s that companies are asking revolve around sustainability. How can we become sustainable? How do we incorporate sustainability into what our company stands for? 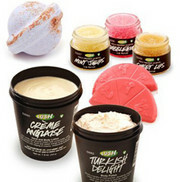 The company Lush Cosmetics has found a way to answer those questions in a very luscious manner. Lush is a company based in the UK that creates organic soaps and other body products to free consumers from chemicals typically used in such products. This company prides itself on finding ways to keep the world a healthier place. 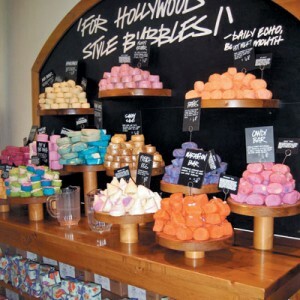 Therefore, Lush has decided to incorporate ‘CloudApps’ into their management strategy. CloudApps is a multi-award winning sustainability program that helps companies monitor their carbon footprints. This software also covers performance management and reporting, energy management, and employee engagement along with the carbon footprint management. This system is very intriguing because it’s not only incorporating the sustainability factor for energy and waste, but it is also helping to create a sustainable and resourceful work force throughout the international company. By introducing this new operational infrastructure of the company, Lush has been able to get creative in being resourceful in the companies shipping process. All of Lush’smanufacturing factories are over in Europe. This would essentially mean that shipment is not cheap and very wasteful. Instead of allowing this waste to be created, Lush took it upon them selves to find cheaper and lighter ways to fly products overseas. Most of their soaps aren’t individually packaged allowing them to ship more for a lower cost. This reduces the use of extra waste and in my opinion is the best way to ship a fairly durable mass quantity of product. Not only has this system helped create a more resourceful company, it has also tied recycling into the companies outlook. Since recycling begins at the design, the company has invited customers to return the empty containers that are left over so that they can recycle them internally and be put towards a new container. The company even reaches out as far as asking for all of their customers empty bottle tops so that they can be melted down into a new container as well. I feel that Lush is doing a sensational job with this. They have cut down on packaging by 62% just by taking advantage of recycling! Monitoring the carbon and operational infrastructures of the company has also influenced regulations and reputation for the company. Pressures on employees to recycle and think resourceful have made an even bigger impact on what the company can give back to the environment. The company uses the CloudApps to decide what employees get specific bonuses based on how much they are recycle and energy consumption. It is shocking how one little change can help a company produce a number of healthier environments. They have shaped the work environment of the company as well as taken ethical actions in producing a healthier global environment. Do you think that this approach to their staff will back fire one day? Is the need to monitor and reward the future of management? In comparison to “The Skies TheLimit” spaghetti and marshmallow project, do you think that if we (students) would perform differently if were told about a reward for the highest and most stable tower? How does this act sustainability take part in a better future for other companies?